The Place Located in the Kampong Bugis enclave which is set to be the new lifestyle hub in the next decade, Kilo Kallang is housed in an old industrial building Ture Building. Walking distance from Lavender MRT station where their other sister concept Camp Kilo is located as well. Take the lift to the mezzanine level and that’s where Kilo Kallang is. The restaurant recently celebrated its 7th year anniversary at Ture Building, coupled with a new menu launch. I love the space, that’s my first impression of the restaurant. It is a pretty open seating arrangement, and I highly recommend reserving the tables beside the windows where you get a view of the lush surrounding (while the precinct is still not fully developed). The ambience feels zen, and it reminds me of some of the restaurants I visited in London or New York. In essence, the feeling is right. The Food We asked Chef Tim Ross-Watson, the appointed Culinary Director for Kilo Kitchen and Camp Kilo Charcoal Club, on how he would describe the cuisine at Kilo Kallang. Chef Tim doesn’t really fancy the notion of fusion, but that is a good summary of the dishes. I would coin it worldly instead as there is a wide myriad of worldly influences on the menu. For a start, the Salmon Roe Puri (S$13) with pickled ginger cream, Oolong tea jelly and crunchy chickpeas is easily dismissed as another superficial, instagrammable dish. I am glad its beauty is more than skin deep. Chickpeas, Oolong tea and Salmon Roe all seem too incongruent, but the explosion of flavours are amazing. Next up, the Heads and Tails (S$15) sounds like the name of a board game but turns out to be another interesting starter. The crispy prawn head here is accompanied by spicy tamarind, coriander, toasted coconut and wild pepper leaf. I have had different versions of Korean Beef Tartare (S$21) but this one is quite unique. It comes with a huge cracker which is made with kimchi paste and glazed with egg yolk, hence it is a little spicy with a glossy texture. The beef tartare is prepared from grass-fed Angus, smoked soy, honey and Korean chilli, the combination of flavours is rich and flavourful. I would think veggies are boring, but this is not applicable to the Charred Broccolini (S$17). Sinfully covered with cream ricotta, the charred broccoli is one addictive dish. There are elements of tahini dressing, puffed wild rice, mint, lemon and even sake raisins. Every dish has been quite heavy in flavour so far, hence the Cold Smoked Tomatoes (S$18) is a good option to balance the palate. The homemade tofu here is showered with wafu dressing, sea grapes and crispy tofu skin. If you love bone marrow, the Roasted Bone Marrow (S$18) won’t go very wrong. Served with parsley salad, sourdough toast, crushed tallow corn, and pickled corn, the portion is not huge but sufficient for me to feel the layers of fat and greasiness. Even the seemingly healthy corn is not spared, as it is cooked with dry aged beef fat. For a good mains to share, I highly recommend the Grilled Iberico Pork Collar (S$26). The perfectly grilled collar has just the right amount of fat, and without a doubt it is very tender. There are also elements of 9-spiced apple purée, celery salt, celery leaves, apple ash crispy pork skin, and apple salad to balance the heavy pork flavour. Good food doesn’t need fanciful presentation. Desserts are not shabby either. The Ice Cream Cone (S$15) has bits of local influence like the satay pecan nuts, served with vanilal soft serve, banana caramel, wood sorrel and coriander. It is an interesting mix of ingredients for me where I enjoyed the crunchy bits along with the ice cream. The other simple looking and rather understated dessert is the Almond Cake (S$16). This dish is a surprise for me as I didn’t expect the almond cake to be so soft and fragrant. The purple bits are candied beetroot and beetroot crumbs, served along with blackberry cream. It is delicious. Rants With new developments planned out for the Kampong Bugis vicinity, we wonder how long before Ture Building bid its farewell. Till then, head down to Kilo before it is too late. Will I Return Again? I enjoyed the dishes at Kilo Kallang, and suffice to say, there is loads of creativity injected on the dishes which make it stand out. I have been a fan of Chef Tim’s unconventional approach to food since his days at the now defunct PyxieMoss, and I believe he will bring Kilo to greater heights. 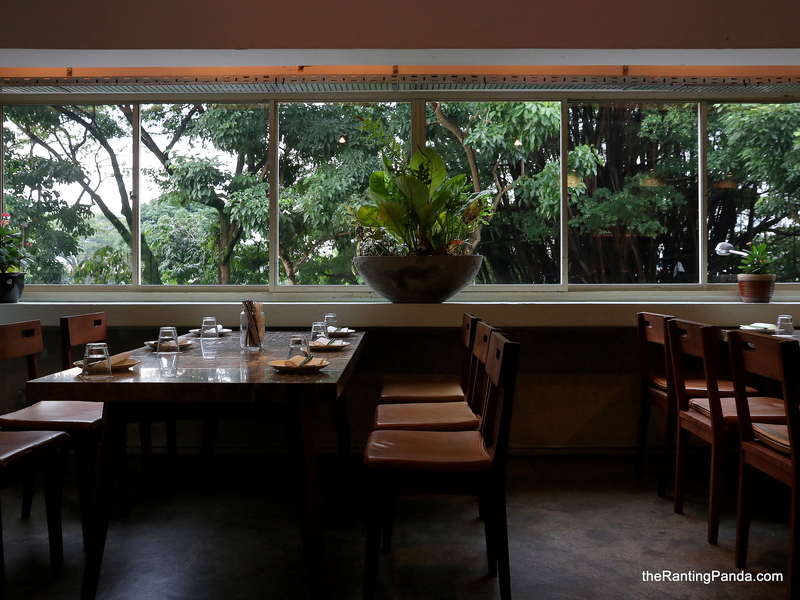 Moreover, the alluring space of Kilo Kallang makes it suitable for couple dates or group gatherings. Make your reservations instantly at Kilo Kallang here.